Bestselling author and lecturer Wayne W. Dyer has created a thought-provoking CD for those of us who have chosen to consciously be on our life path. The ten "secrets" for success and inner peace presented here apply whether you're just embarking on your path, are nearing the end of it, or are on the path in any way. 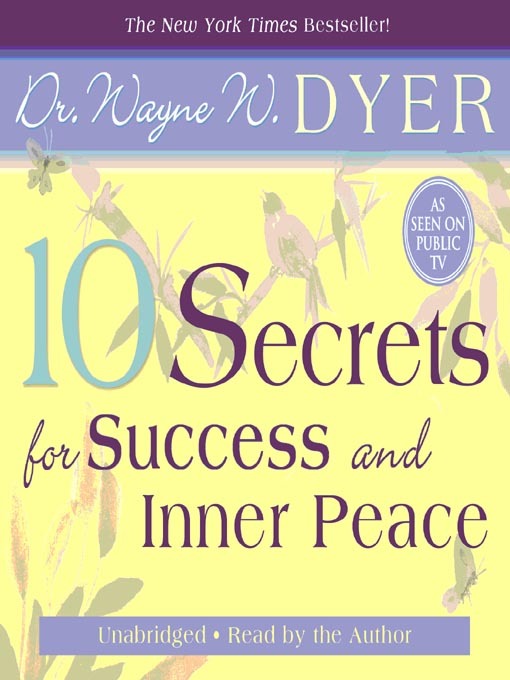 Dr. Dyer urges you to listen to these ten secrets with an open heart. By doing so, you'll learn to feel the peace of God that truly defines success. Dr. Dyer shares his view that we're living in an age of spiritual deficiency. We have more than enough information in our society-it's spirituality that's lacking.